Hot Waxing Kit Just $28.89! Down From $129! PLUS FREE Shipping! You are here: Home / Great Deals / Amazon Deals / Hot Waxing Kit Just $28.89! Down From $129! PLUS FREE Shipping! Don’t miss your chance! 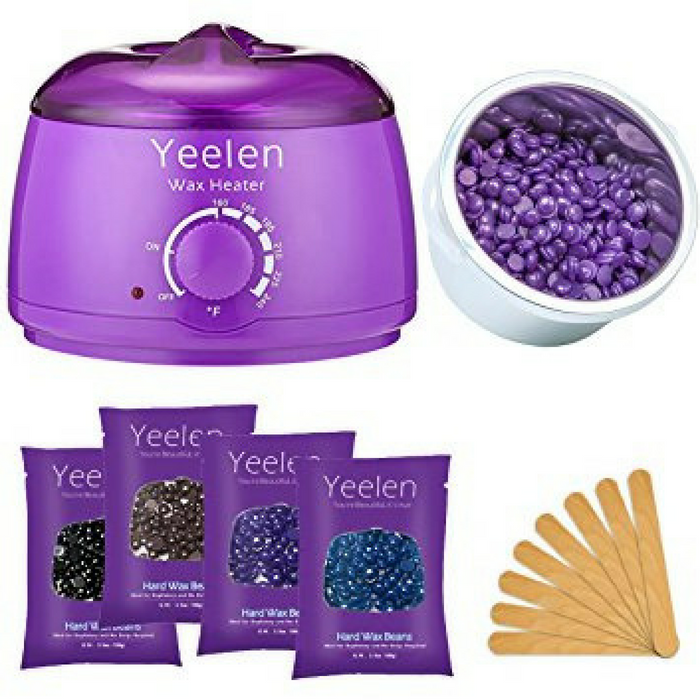 Amazon offers this Yeelen Hair Removal Hot Waxing Kit for only $28.89, down from $128.99 PLUS FREE shipping! Remove all the unwanted hair in your body with the Yeelen Hair Removal Hot Waxing Kit! This professional waxing product has the most effective depilation ingredients on earth including Rosin, Beeswax, Coconut Oil, ensuring the best effect of hair removal also perfect for sensitive skin. It’s an all-natural, effective, and easy way to remove your hair without all the nasty chemicals used in most large retail wax beans. It is effective to remove your hair, smooth your skin, and keep your skin fresh and glowing without extra hair. Made from natural wax ingredients. Has different flavors of chamomile, lavender, chocolate, and original. Choose any of the flavour you like best to remove your body hair while enjoying the fragrance and relaxing yourself to achieve the best effects of waxing and hair removing, which can remove 98% your body hair, like armpit, bikini area, eyebrows, beard and other unwanted hair, from stubborn coarse hair to the finest fuzz, leaving your skin soft and glowing. Only needs 8 minutes melting time. Adjustable Temperature from 160℉ to 240℉ allows you to choose. The wax warmer will stop working and light off when the temperature reaches 240℉, and it will start working and lighting again when temperature under 160℉. Upgraded ABS material and US three pin plug guarantee safety in use. ABS resin is a nonflammable, hard, great surface performance material. Can melt most wax format including hard wax, soft wax, 14-ounce wax cans, loose wax, bricks bikini wax kits, microwavable wax kits and hair waxing kits.